Can the Civic’s gentle update still make it the compact sedan to go for in top-of-the-line form? After being on the market in its current generation for three years, the Honda Civic has received is mandatory mid-life update. But like in most other Hondas in the past, the changes are very small. The front bumper, for one, sees newly designed air intakes in a bid to give the Civic a wider feel. There are new LED lights, as well. 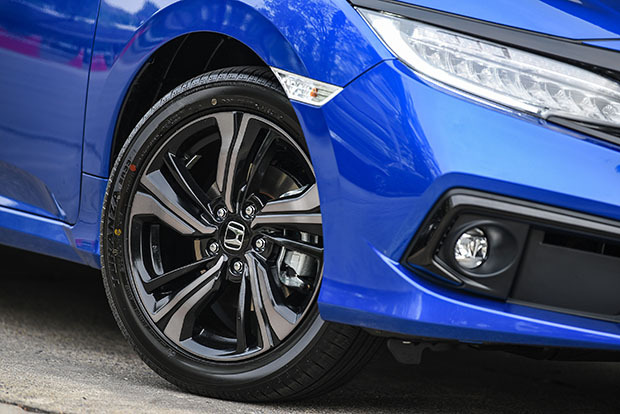 For the first time, the Civic comes with five new driving aids to help keep the car within a lane, brake when necessary or maintain a proper distance with others ahead when cruising. However, the so-called Honda Sensing safety package is only available in the range-topping Turbo RS powered by a carried-over 173hp 1.5-litre petrol-turbo. This particular Civic costs 1.219 million baht, which is 115k dearer than the regular Turbo without Honda Sensing. Speaking of the Thai C-segment sedan class, not many players are left at the moment. Over the past couple of years, the Chevrolet Cruze, Ford Focus, Hyundai Elantra, Mitsubishi Lancer and Proton Preve have been removed from Thai showrooms. And while today’s Mazda 3, MG 6 and Toyota Corolla Altis have already been replaced with all-new models elsewhere, the Nissan Sylphy is now five years old in Thailand without a facelift. All of a sudden, the Civic seems to be in a rather fortunate position. Can this gentle update make this Honda still the compact sedan to go for, especially in top-of-the-line form? Whether you’re going to like that new bumper is up to you, but Honda’s decision to add new colours to the Turbo RS help freshen up its appeal on the road. And unlike its rivals, the Civic maintains that profile that sometimes look like a fastback (sleek five-door hatch) when it isn’t one. The same goes for the interior which still looks the part and works well. The instrument panel and console offers good clarity and ease of reach. Cabin room itself is still competitive. 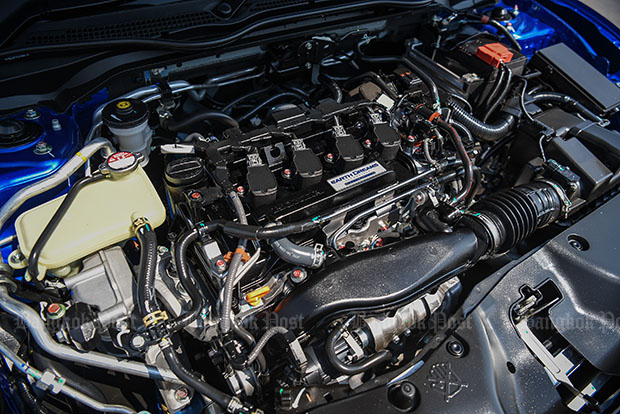 The Civic was among the first in-class to utilise a downsized engine with turbo to help reduce fuel consumption and maintain performance of a naturally aspirated 2.4-litre engine. The 173hp 1.5-litre petrol-turbo and the CVT automatic transmission may be unchanged, but there’s much to like about its smoothness and flexibility for real-world use. The Sylphy is now the only rival left with such technology. Although the Nissan’s 1.6-litre petrol-turbo develops a higher 190hp, the Civic isn’t totally jaded in outright performance. If you like driving aids, the Civic is almost unrivalled with the aging Mazda 3 being the only other player to boast some tech in range-topping SP spec costing 1.149 million baht. 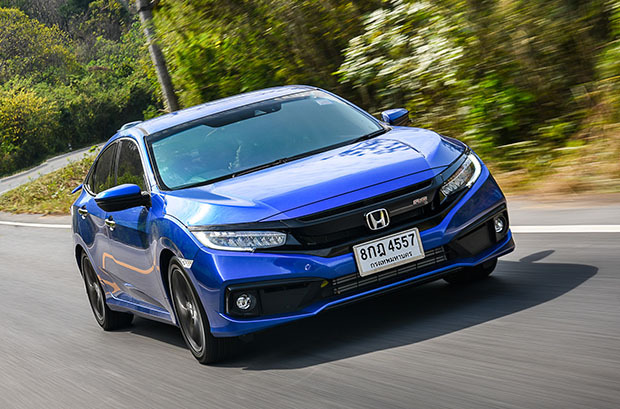 New technologies usually come at a cost initially which is why the Civic in Turbo RS trim has budged the 1.2 million baht barrier for the first time. So it doesn’t mean Honda is handing out gifts for free. 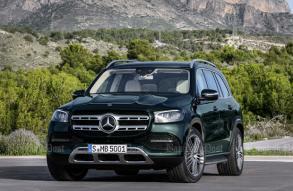 And while the chassis remains generally well balanced in terms of ride and handling, the suspension could be a touch soft for keen drivers loving to exploit the turbo performance in more demanding road conditions. 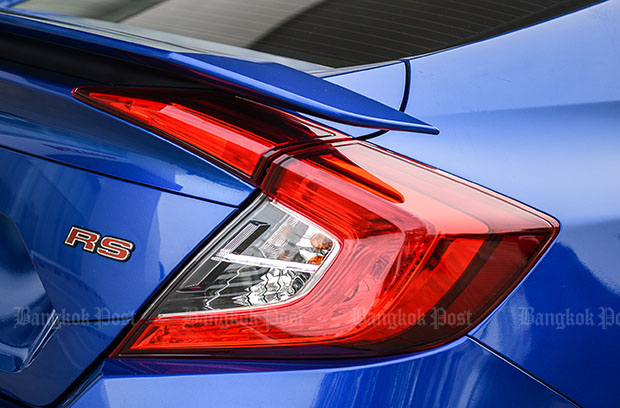 When it comes to a range-topping compact sedan, the Civic Turbo RS is probably the most complete car at the moment in its class, not to mention it coming from a brand with strong credentials in Thailand. Even if you’re not after those Honda Sensing stuff, the Turbo stands out with a combination of good performance, easy driving manners, roomy cabin and stylish exterior that the Sylphy can’t match. 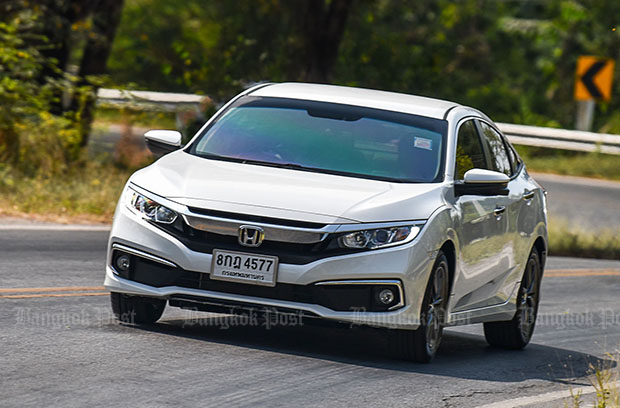 So yes, the revision may be mild, but this particular Civic still delivers at a time when competition has dropped by half and the SUV, above or below one million baht, continues its upward surge. For those who don’t want to spend over one million baht for a C-segment sedan, there’s still a cheaper version of the facelifted Honda Civic. No, it isn’t a lower-output version of the 1.5-litre petrol-turbo (like how European luxury brands do in offering distinctly priced models). It’s the usual Civic 1.8 powered by naturally aspirated four-cylinder petrol motor (that’s now becoming old-fashioned these days). Of course, the 141hp 1.8-litre in this price-led Civic still does a reasonably good job in the real world by not feeling slow. There’s the basic E trim (without a modern infotainment system) going for 874,000 baht and EL spec asking for 964,000 baht. However, there are several choices with comparable performance and prices featuring in the Mazda 3, Nissan Sylphy and Toyota Corolla. The Civic 1.8 doesn’t immediately stand out in its class like how the Turbo does in the main story. 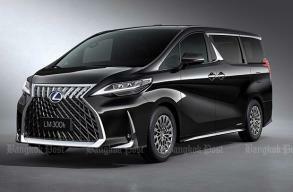 Worse, the 3 and Corolla are now in their run-down modes in Thailand meaning that special offers and discounts should be available in the first half of this year. 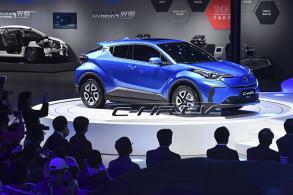 This lower portion of the C-segment sedan class usually attracts cost-conscious buyers and some people don’t always mind aging cars with attractive prices. After all, the 3 still does good things on both the catwalk and road. Plus, the Corolla has a decently roomy package, good road manners and strong brand credentials.